Last weekend was spring planting weekend at the village, we had 10 extra teams of horses to help prepare and plant the fields. Some were retired employees, some international ploughing match entrants. 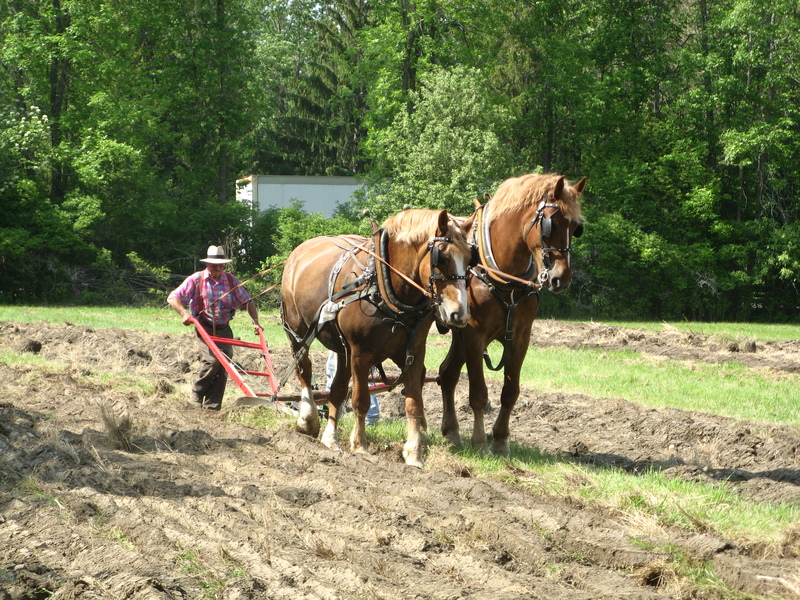 We are having the ploughing match really near here this fall and the teams are getting in practice. Luckily Alan came down to the village so he could take some pictures for me as he doesn’t wear a costume. 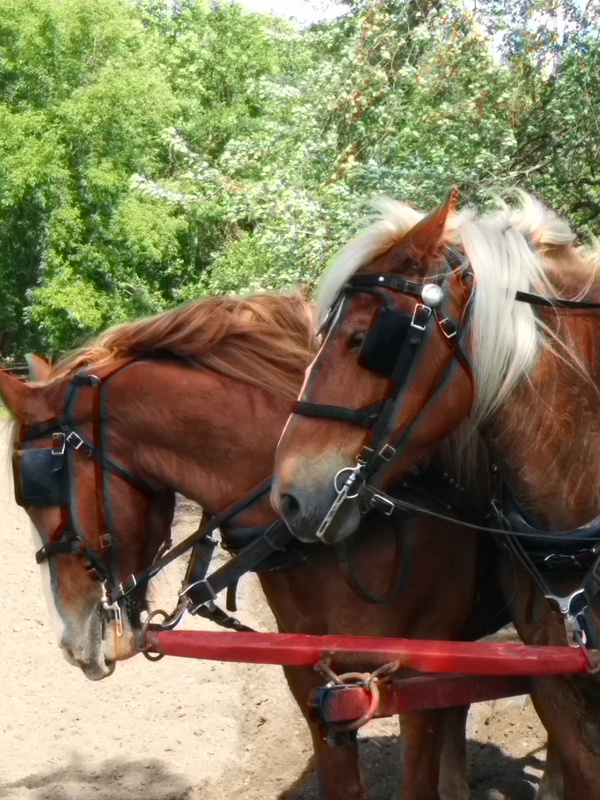 My favourite visiting horse team was the Wensink twin’s Belgians. 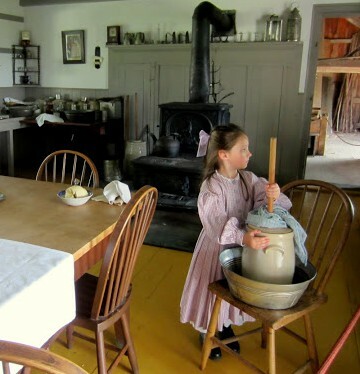 I was working in the Louck’s kitchen last Saturday with Barb. Her 5 year old granddaughter, Hadley, got into costume and spent the day with us. For obvious reasons she was a huge hit with the visitors. 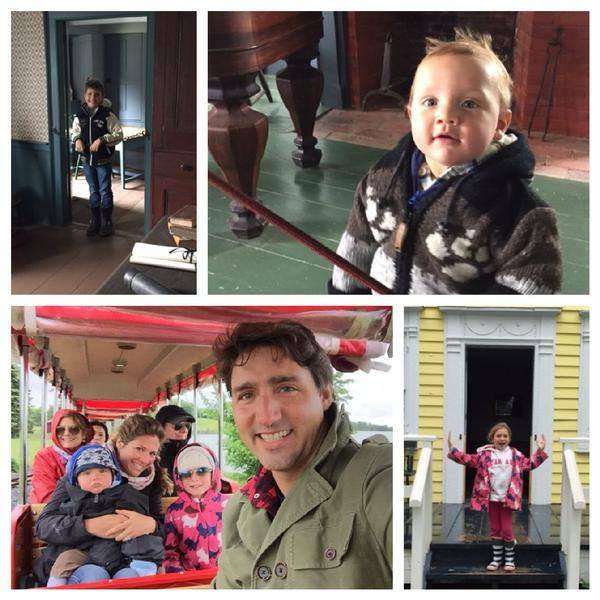 On Sunday we had a visit from Justin Trudeau, the leader of the Federal Liberal Party, and his family. They spent the day at the village and apparently enjoyed themselves. Heather had no idea who he was when he purchased his ticket and rode on the train. This entry was posted in Living history and tagged Justin Trudeau, ploughing match on June 6, 2015 by gillianknitter.